Conveniently located off Beal Street in Hingham MA, Beal’s Cove Village is a residential condominium complex that offers a unique setting to residents. This complex appeals to anyone that desires a serene "country" like escape from the hustle and bustle of the city but also needs easy access to public transportation and amenities. Beal’s Cove Village sits just minutes away from the bustling Hingham Shipyard complex, which is adorned with shopping, a movie theatre and numerous dining options. The Shipyard was designed as a mixed use development to benefit residents living within the complex; however being in such close proximity Belas Cove Village residents can benefit from its convenience as well. 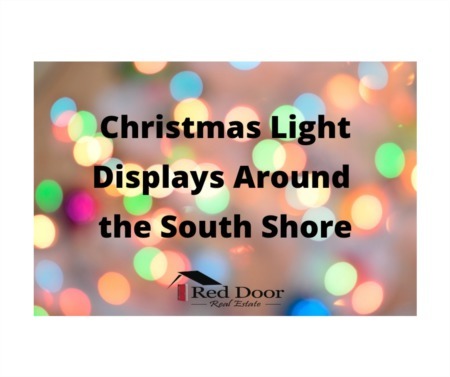 The Shipyard encompasses everything from a CVS, Trader Joe’s, a marina and access to the Hingham Harbor commuter boat. What more can you ask for? As you enter the Beals Cove complex, it is obvious that the scenery immediately changes to a more relaxed and serene setting. Most condos in the complex back up to a wooded backdrop since the complex is adjacent to Bare Cove Park. 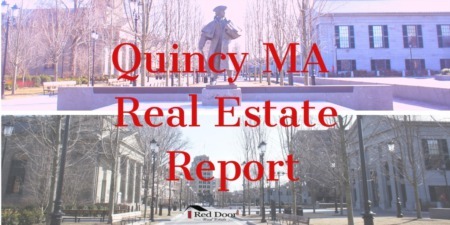 A popular park for public recreation offering walking/jogging trails and scenic routes along the banks of the Weymouth Back River. 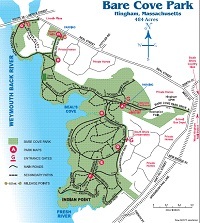 This map, copied fom the Hingham MA town website offers a great overview of all Bare Cove Park has to offer. With 198 units in the complex there is a mix of one bedroom condo or two bedrooms condos as well as 2 bedrooms townhouse style condos. This is a professionally managed complex and is in great financial shape with more than 65% of the units being owner occupied (as of 2018). The association fee includes the major items like master insurance, snow removal, water and sewer; however it also includes heat and hot water to each unit. Which is just another bonus to living here. From time to time there may be a unit available for rent, like this one 2 Beals Cove Rd Unit A Hingham MA. 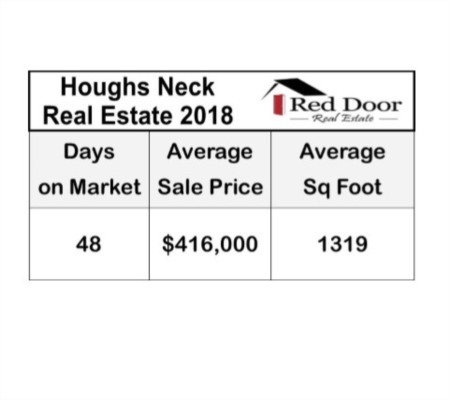 Contact a Red Door agent today to learn more about Beals Cove Village Hingham Ma or other complexes in Hingham.